There is a great deal going on right now at Walmart stores where you can get Hotels.com gift cards for 23% off. These may be location specific. Newegg has a promotion on Hotels.com gift cards. You can buy them at a 20% discount. Gyft is one of the remaining options to earn 5X Ultimate Rewards points and today they are running a new promotion on Hotels.com gift cards. 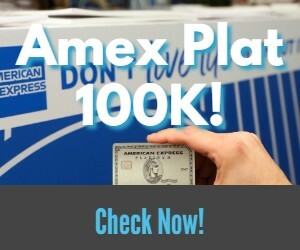 Check your American Express credit cards for a new Amex Offer that will save you 20% on Hotels.com gift cards. There's two discounts for you hotel bookings through Hotels.com. You can get 15% off gift cards at Newegg and you can also save 15% when booking and paying with PayPal. PayPal Digital Gifts has a deal on Hotels.com and Groupon gift cards. You can get a discount of 15% on both brands. Newegg is selling discounted Hotels.com gift cards. You can net 15% discounts for future bookings.